The first vehicle using this superb chassis! A tank is in the making! Fuel cell with fuel tank, range is huge. 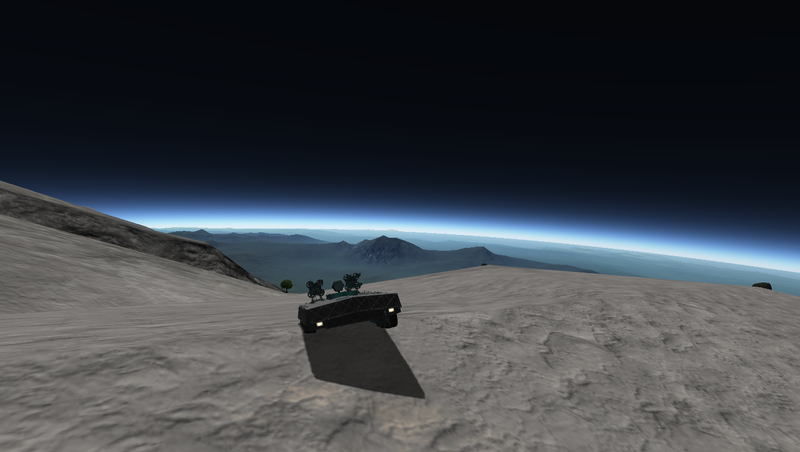 Independent suspension, able to climb over and drive through very rough terrain (limited speed). 14 driven wheels, 4 stabilization wheels. Able to drive with 6 of it’s 7 wheels broken on one side, at almost top speed! A stock aircraft called 77I - Heavy IFV. Built with 488 of the finest parts, its root part is structuralIBeam2.